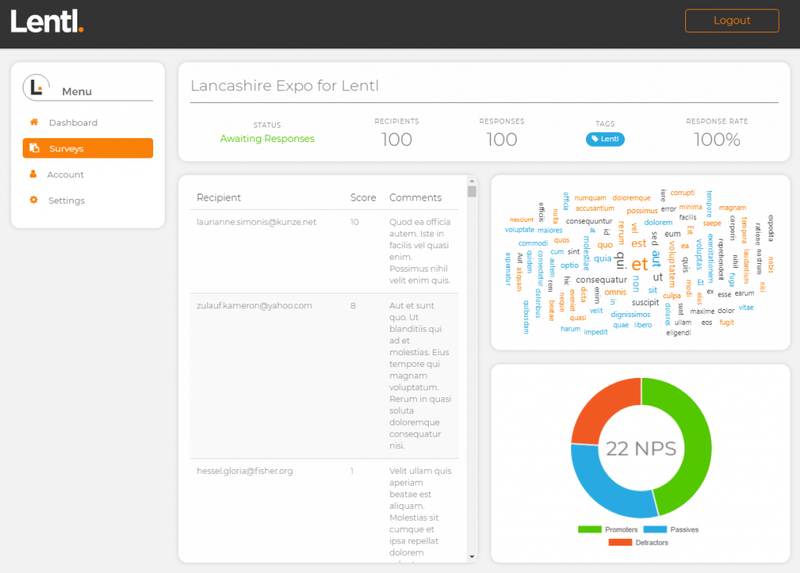 Lentl is the simple customer feedback tool that lets you see your business through the eyes of your customer. 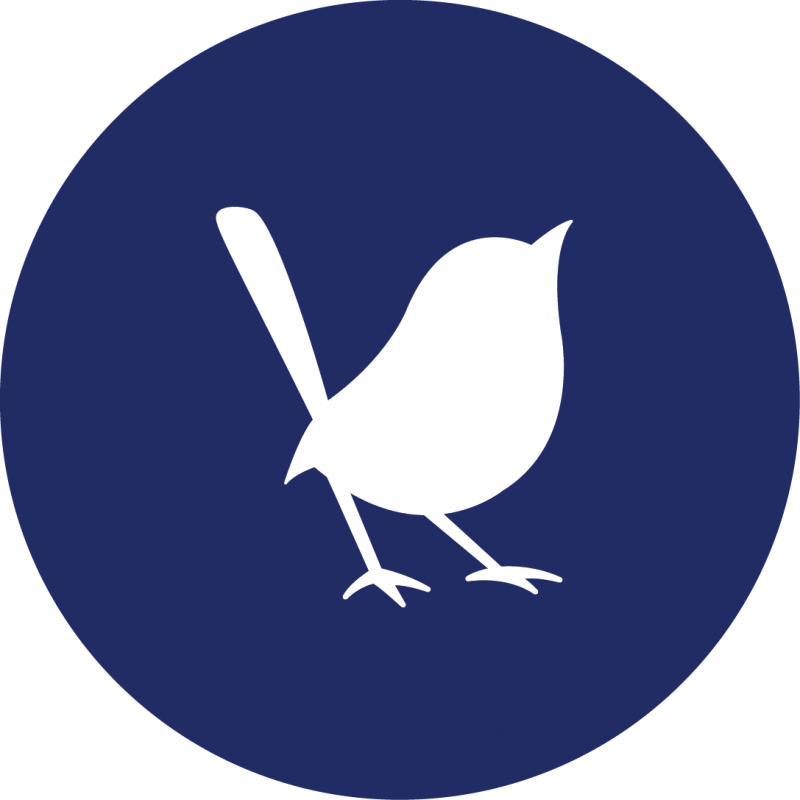 Developed here at Blue Wren, Lentl facilitates rapid feedback about your service straight from the people who use it, allowing them to rate their experience with your business. Once you register with Lentl, you are only minutes away from gaining significant insight into your business. Simply brand your survey with your company colours and logo, input your customers’ information and send your customer feedback survey. Lentl’s reporting dashboard collates the responses, making it easy for your business to obtain actionable feedback. Qualitative feedback is also collated in a word cloud, allowing you to quickly see the type of words customers use to describe your service. All that’s left is for you to act on this invaluable insight to drive your business forward. How do customers score your business? 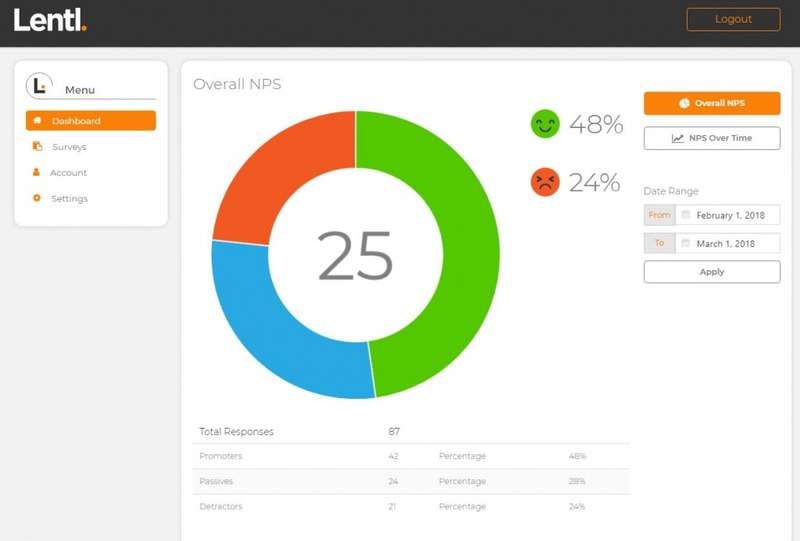 Lentl uses Net Promoter Score™ (NPS) to enable customers to rate your service. NPS is the globally recognised customer satisfaction metric, found by asking one simple question: How likely is it that you would recommend our service to a friend or colleague? You are scored between 0 and 10. Lentl’s customer feedback survey also facilitates qualitative feedback to ensure you receive thorough insight into your business’ performance. This enables you to make changes to improve customer loyalty and tailor your service to facilitate growth. Lentl’s unique tagging functionality means you can tag your customer feedback surveys with the specific departments your customer interacted with. This segments the results so that incoming scores are attributed only to the relevant parts of your business. When the results come in, you can either monitor the aggregated score for your whole business or drill down into the results to see individual performance granularly. This allows you to better understand your strengths and weaknesses and adjust your service accordingly. It only takes a minute to sign up to Lentl’s free trial. Open your business to invaluable insights to increase customer loyalty, boost their satisfaction and improve your service. If you would like to discuss Lentl with a member of our team, or to find out how Lentl can create positive change for your business, please get in touch.